You are here: Home / News / Concluding campaign messages as polls on Election 2018 open at 7 a.m. Concluding campaign messages as polls on Election 2018 open at 7 a.m.
Gov. 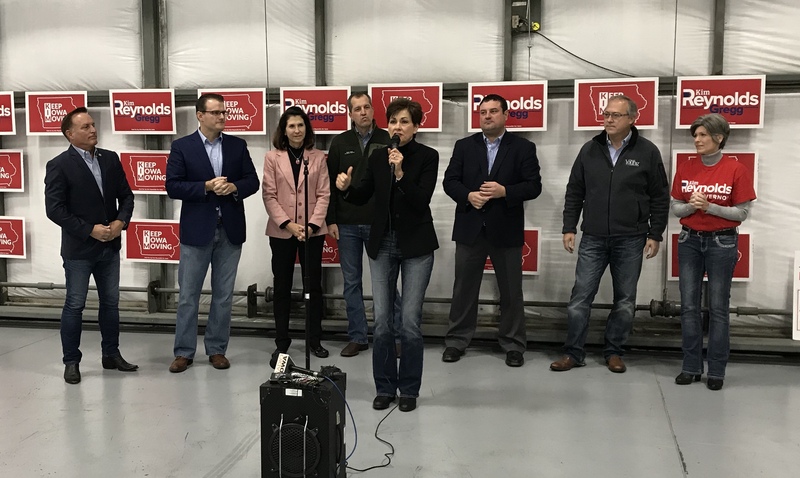 Reynolds and others on the GOP statewide ticket started campaigning Monday at the Ankeny airport. Election Day is here. The polls in Iowa open at 7 a.m. and close at 9 p.m. Four congressional races are at the top of the ballot, followed by a competitive race for governor. 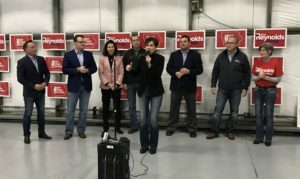 Republican Governor Kim Reynolds held a Monday morning rally in an Ankeny airport hanger before embarking on an eight-city tour. 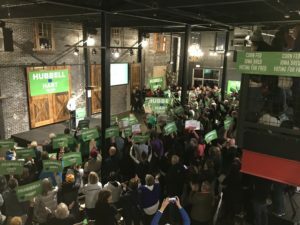 Fred Hubbell, the Democratic candidate for governor, rallied with supporters in Des Moines last night. A Des Moines Register “Iowa Poll” conducted last week showed the race falling within the margin of error — Hubbell at 46 percent and Reynolds at 44 percent. Christopher Larimer, a University of Northern Iowa political science professor, has written a book about what has and hasn’t worked in recent governor’s races in Iowa. He’s closely watching this contest. Fred Hubbell and other Democrats hold an Election Eve rally in Des Moines. The “tribal mentality” in politics seems alive and well heading into this election, according to Larimer. Once the votes are cast and counted, he’d like to compare 2014 and 2018 turn-out, to see which party was better at getting voters who normally just vote in presidential years to cast a ballot this year. He’d also like to do research on what techniques campaigns used to turn-out “irregular” voters who don’t typically participate in midterm elections. Reynolds, backed up by the GOP candidates for four other statewide offices, concluded her Monday rally with the clarion call. 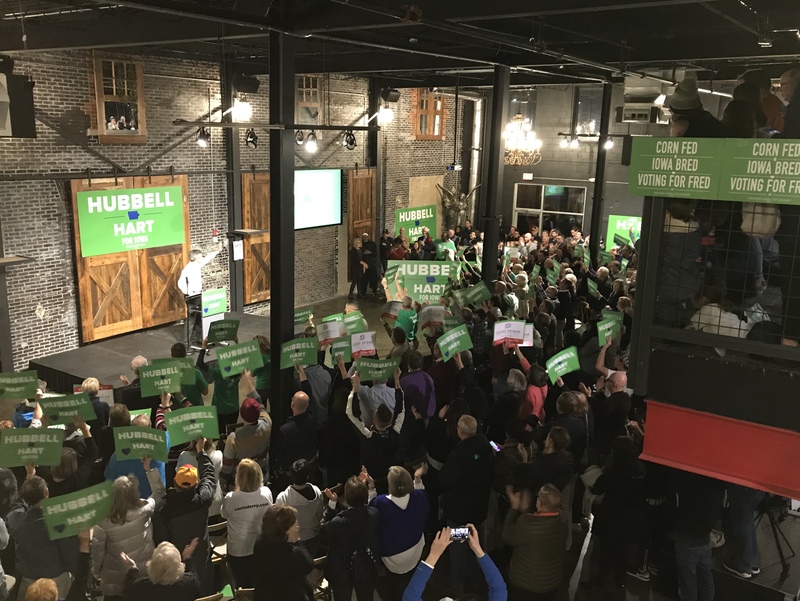 Hubbell concluded his Election Eve rally by asking Democrats to keep working until the polls close tonight.